As a devout fan of the popular horror podcast Lore, I have been so excited for the next chapter of the story: a television series based on the stories presented in the podcast. What makes the stories terrifying is their base in truth and actual events, and that fact becomes even more real when you see the stories played out in front of you. If you love scary stories and the history behind them, then Lore the television series is just your cup of tea. If you’re a fan of the Lore podcast, then the anthology television version will be familiar: a folklore teaser followed by real, documented events that support the mythology. Podcast host Aaron Mahnke also hosts and narrates the television series (and the haunting piano is there, too! ), but it is actually seeing the stories play out that makes the show scary. Frankly, the style of the show is what will grab your attention and not let go. I think that the style might be a bit polarizing for some viewers, but I loved it. In the very first episode “They Made a Tonic”, you’ll see what I mean right away. The production combines spooky animation, era-specific grainy playback, and visual effects that transport you into feeling like you are part of the story. Unlike most horror “reality” shows, Lore doesn’t rely on jump scares or creepy effects to conjure the terror–its approach is actually very sanitized in that it presents the story to you in combination of narration and visual to allow your own imagination to wander. Yes, there are dramatic reenactments, but those are not meant to visually show you ghosts or demons to scare you–the humanity and realism freak you out. Like the podcast, the Lore TV series is meticulously researched and spends a lot of time presenting historical context and information not readily available to the masses. This gives the series an almost educational tone that a lot of audiences will enjoy; each episode feels like a mini-documentary. This is especially clear in the episode “Echoes” that goes behind the scenes of insane asylums and explores the history behind 20th century remedies of mental illness. It even walks through the clinical steps of a lobotomy, complete with cranial tapping. I must warn you: this series will make you squeamish. 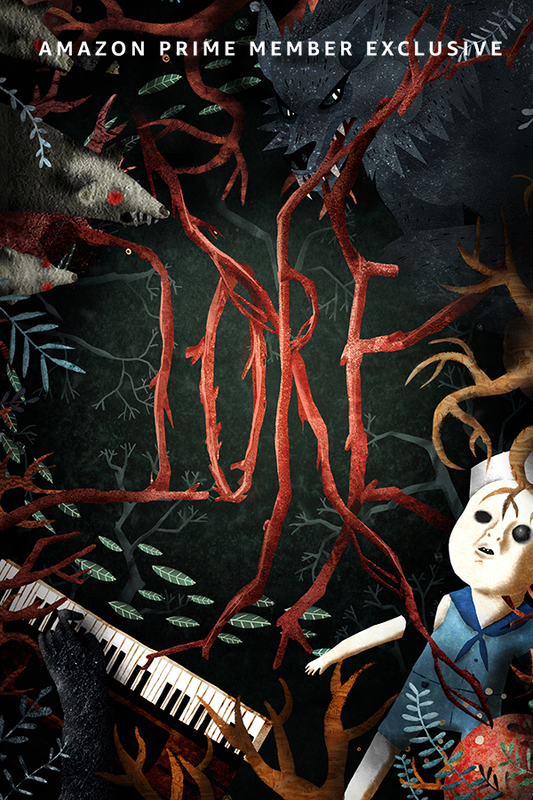 Overall, Lore is a refreshing take on horror. So much of the genre in the last few decades has been heavy on gore and the supernatural, but the last few years have been a stark contrast, proving that horror based on history and fact and, well, humanity, can be the actual stuff of nightmares. And if you’re worried about the quality of the show, it is executive produced by Gale Anne Hurd (The Walking Dead) and Glen Morgan (The X-Files), and features acting by Robert Patrick, Colm Feore, and Kristin Bauer von Straten. The acting gets progressively better with each episode and by the time that “Black Stockings” rolls around, you will be impressed, particularly with the emotional performance of Holland Roden as Bridget Cleary. Lore premieres on Friday, October 13, 2017 (yes, Friday the 13th) and is exclusive to Amazon Prime members. You can learn more about the podcast that inspired the show by checking out the website here or subscribing on iTunes or your favorite podcast app. Let us know what you think of Lore in the comments!